INVESTOR ALERT! 2 bedroom plus den/flex space, one bathroom, 9' ceilings, quartz counter tops with undermount sink, stainless steel appliances, laminate floors, large windows for lots of light, TWO parking stalls, storage locker, and common amenities room and deck with lounge seating and BBQ. Facing west, you'll enjoy views of the Tantalus Range and the afternoon sun. 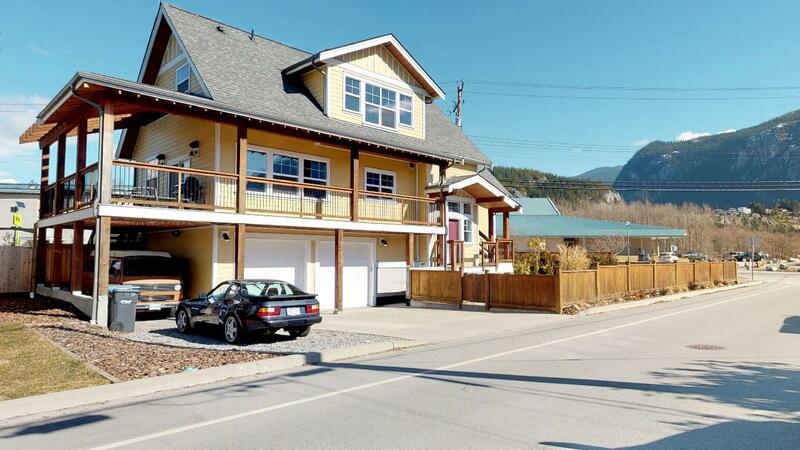 Conveniently located in Downtown Squamish, you're just steps from all the shops and restaurants as well as the dog park, the estuary, the spit, Nexxen Beach and trails galore. Tenanted property with great, long-term tenants who would love to stay. Building is only 2 years old. Note* 2nd bedroom doesn't have a window. PL EPS3354 LT 46 DL 4261 LD 36. GROUP 1, TOGETHER WITH AN INTEREST IN THE COMMON PROPERTY IN PROPORTION TO THE UNIT ENTITLEMENT OF THE STRATA LOT AS SHOWN ON FORM V.